Music shared as it should be. A fun way to share music at your next gathering. No more arguing over music. Everyone gets to decide. Use your iPhone or iPad as host by connecting it to your favourite speakers with AirPlay or a sound cable, then get the party started with your favourite music. Your friends can connect and vote on what tracks to play next, but you stay in control. Only you have the power to skip, delete and re-order tracks. NEW: Free to try, iPhone 6 support & lots more! 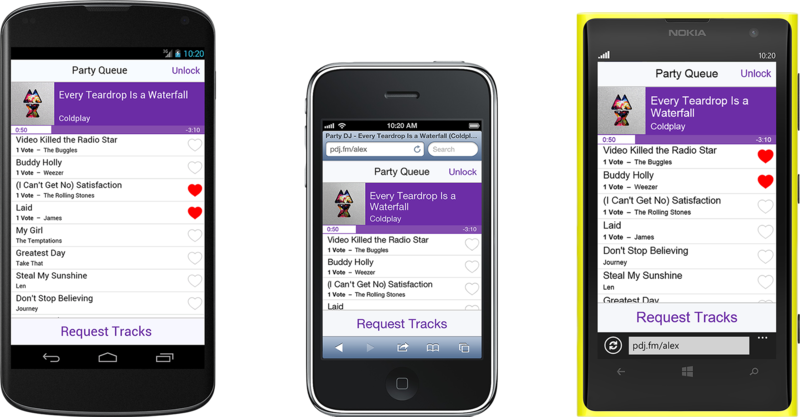 With Party DJ 1.1 you can now try Party DJ for free, crossfade between tracks and a whole lot more. The latest update takes advantage of the extra screen space of the iPhone 6 and 6 Plus to show you even more album artwork. A new crossfade features ensures you&apos;ll never sit in awkward silence again, and as the host you can finally re-order the queue however you want, moving tracks up or down as you see fit. If your friends want to play a song that you don&apos;t have, they can add it from their own library. Everyone gets to see what&apos;s been played. If you like the sound of something Party DJ will take you straight to iTunes to add it to your own collection. If your friends don&apos;t use iPhone or iPad, don&apos;t worry! 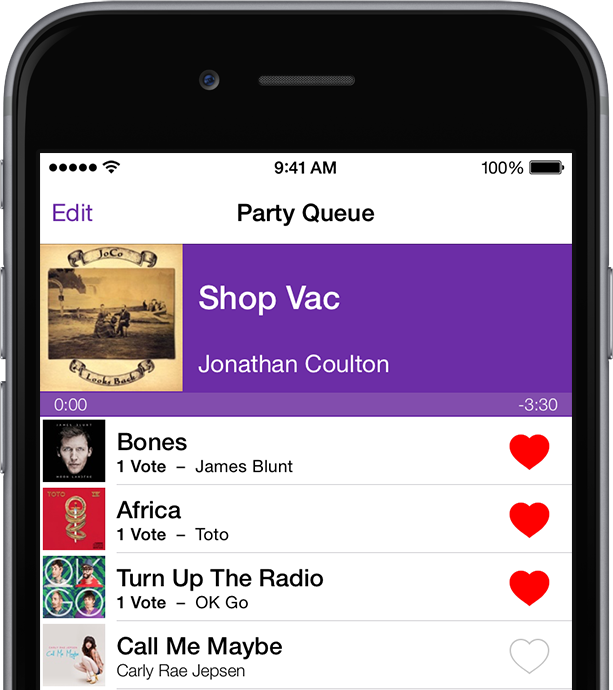 Anyone with a web browser can view, vote and request music over Wi-Fi, using the built in web server that comes with Party DJ. You even get your own pdj.fm short URL to make it easy to connect. When you&apos;re away from a Wi-Fi network you can still party with other iOS 7 users using Bluetooth. Say you&apos;re on a road trip and you want to use Party DJ to play music in your car: other iOS users will be able to connect and vote on tracks using Peer-to-Peer Bluetooth (no pairing required!). 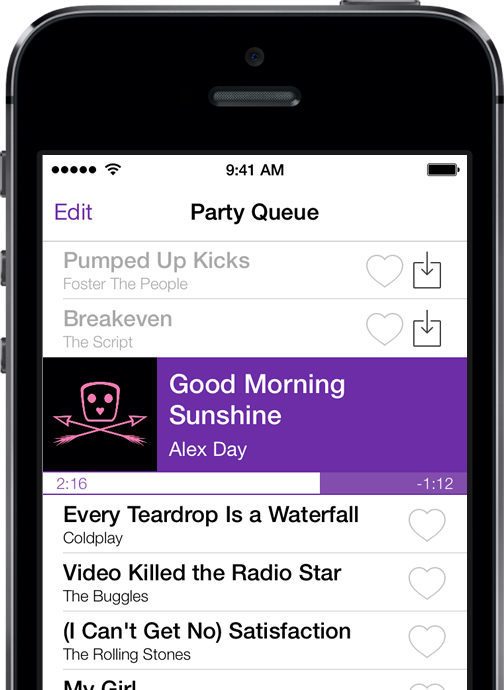 Party DJ can shuffle all your music, or just the music in certain playlists. Got two smart playlists with all your best tracks? Just set Party DJ to shuffle the music from those two playlists. NEW: Party DJ on the TV! 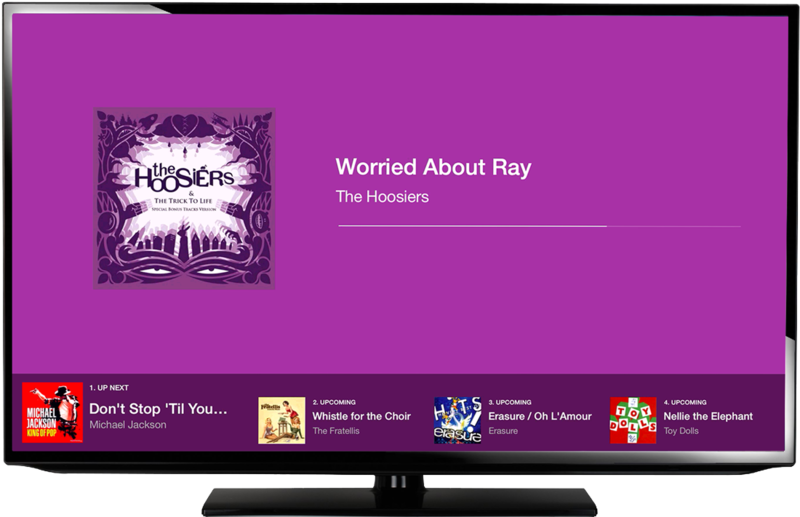 With the latest version of Party DJ you can enable AirPlay mirroring to an Apple TV to output a gorgeous display showing the playing track, and also the upcoming queue. 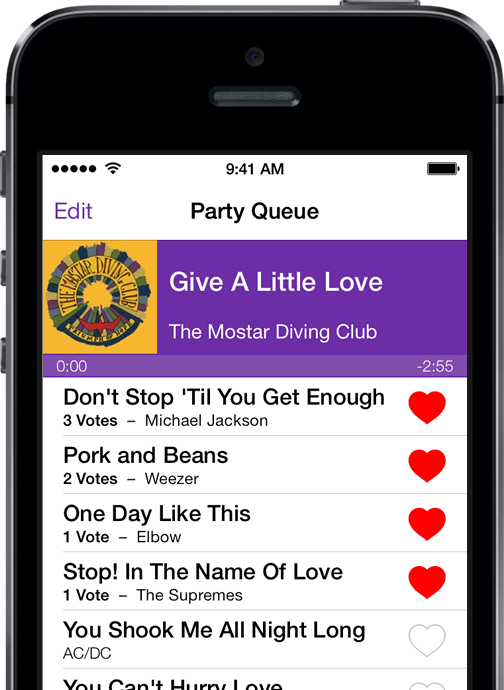 Party DJ gives you full control over what your guests can do. You can decide whether guests are allowed to upload their own music or just vote on your music, and you can set passcodes that guests have to enter before they can control or vote on music. Party DJ connects guests to your party locally, via Wi-Fi or Bluetooth, and not over the internet. Our servers are only used to point guests to your local network address, so your party won&apos;t be digitally gatecrashed.